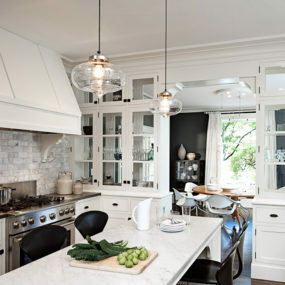 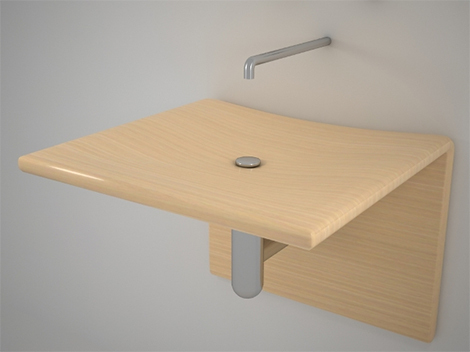 Wood has the distinctive ability to take on many appearances in a full range of finishes, all the while staying true to its innate organic beauty. 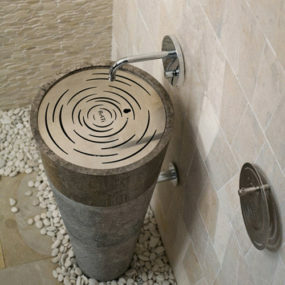 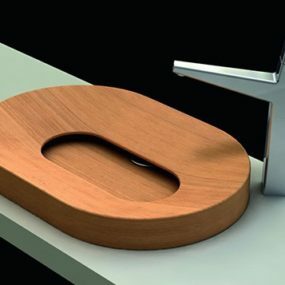 That’s why we love these wooden vessel sinks and wooden pedestal sinks from Unique Wood. 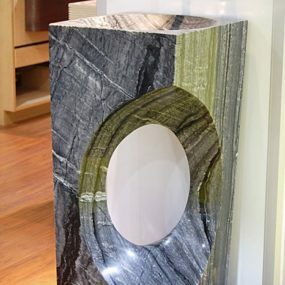 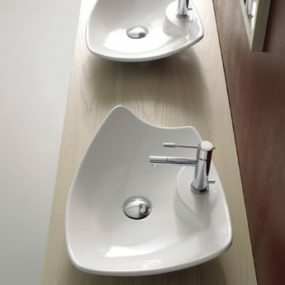 The Villa sink (above) is a countertop-mounted vessel made of Padouk wood, featuring a circular grain that naturally winds its way around the drain. 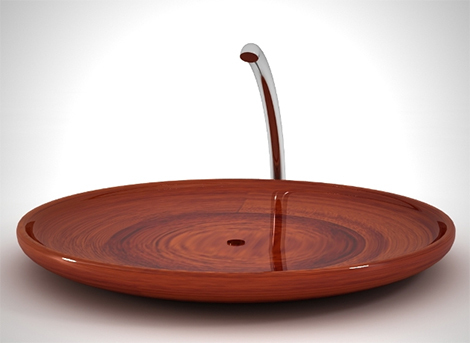 Wide and flat, this round vessel has a rich, glossy red hue that’s almost glass-like in appearance. 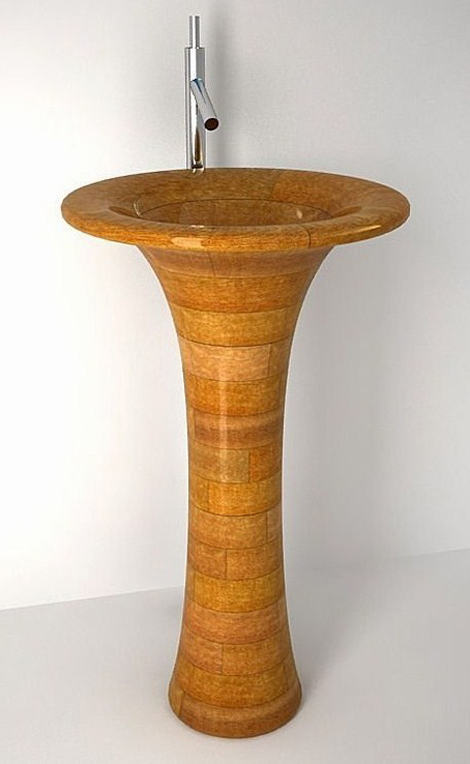 The Dagami pedestal sink has a completely different look and shape – a traditional pedestal form fashioned from panels of Sapele wood, stacked and finished in a lustrous varnish. 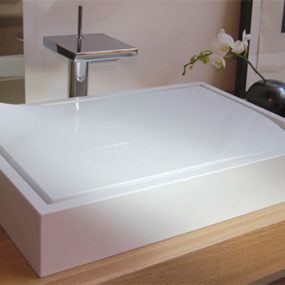 For a completely different look, the Gayam vessel sink is Zen in terms of style, featuring a light, almost-white Ash wood and a modern, square “bowl” (if you can call it that) which is flat with a slight divot and the drain at the center. 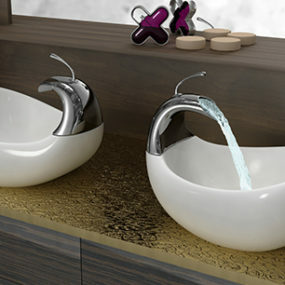 This wall-mounted vessel sink is the perfect complement to your minimalist spa-inspired bathroom. 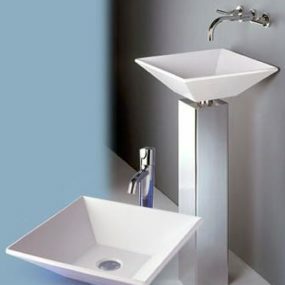 For more contemporary wooden vessel and pedestal sinks visit .